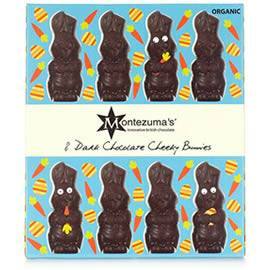 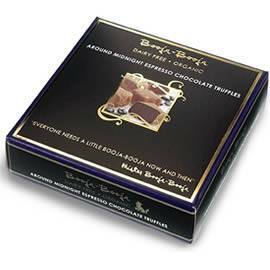 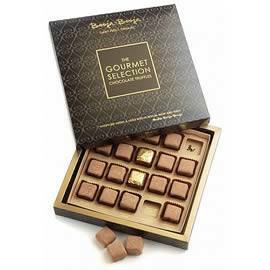 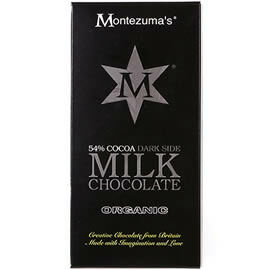 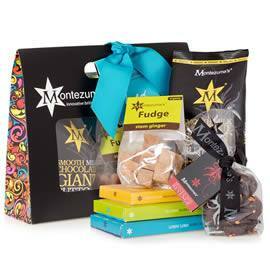 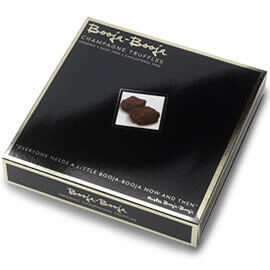 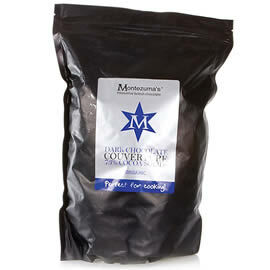 Montezuma's Dark Chocolate Cheeky Chocolate Bunnies, eight solid dark chocolate Easter bunnies. 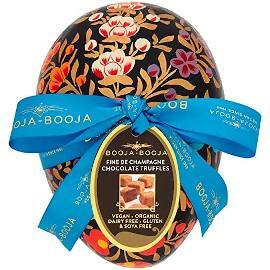 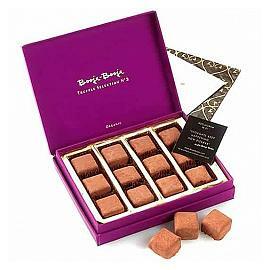 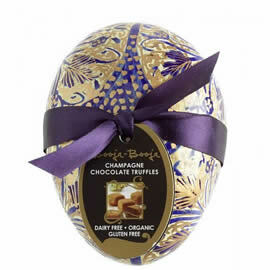 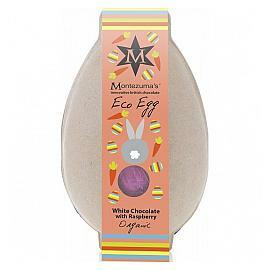 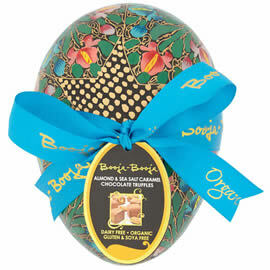 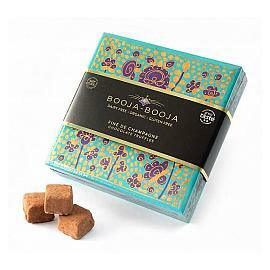 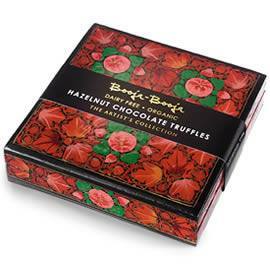 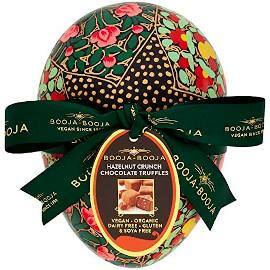 A white chocolate Easter egg with raspberry, made with organic white chocolate in eco-friendly packaging. 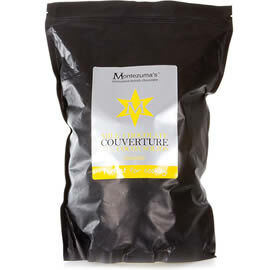 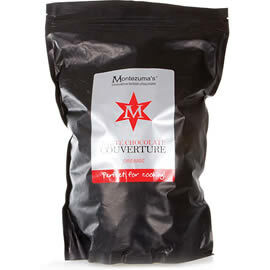 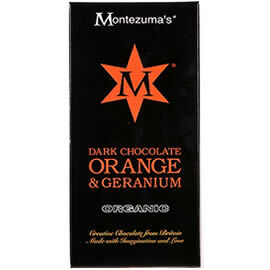 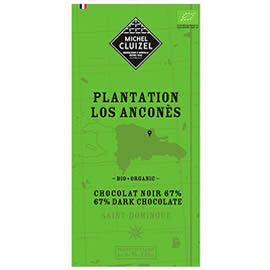 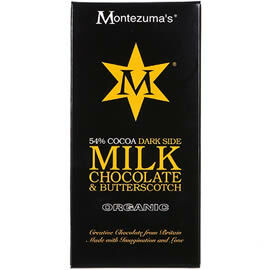 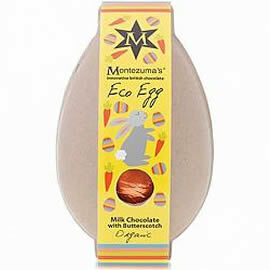 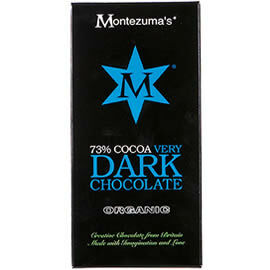 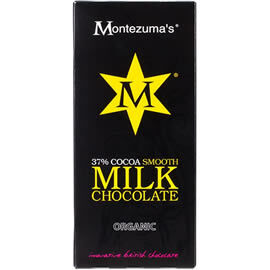 Montezuma's Organic Dark Chocolate & Cocoa Nibs Eco Egg, Montezuma's dark chocolate eco egg, a vegan and organic Easter egg. 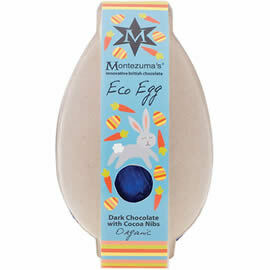 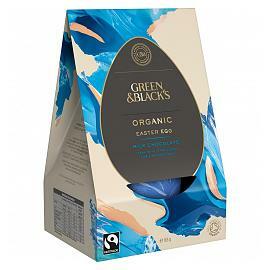 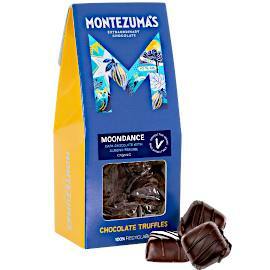 Montezuma's Dark Chocolate Button Egg, a dark chocolate Easter egg with chocolate buttons, made from vegan, dairy free, gluten free and organic chocolate.